I’ve been thinking a lot recently on the difficulties faced by independent authors like myself. The indie author community is very supportive of each other when it comes to the writing process. We encourage and congratulate, offer tips and advice, yet when it comes to talking about independent books we tend to focus predominantly on our own work. I am as guilty of this as many. But a number of things have happened recently that have made me decide to change. As some of you long-term readers will know, I used to review the monthly Live at the Cottage gig that is held every month in my local village. These gigs attract high quality unsigned acts, most of which make a living through performing live and selling their independently produced CD’s. There are many similarities between what they are doing and what we, as independent authors, are looking to achieve, and that is to make what they produce available and seen by the widest audience possible. I was approached the other day by somebody who had bought my book to tell me how much she had enjoyed it, even though it was “not the type of book she would normally read.” I’ve heard this a number of times from different people, and the phrase is also used in a couple of Amazon reviews. What she said next, though, was great. She used to read all the same type of book but then joined a book club to get her out of her comfort zone. Since then she has discovered a number of books that she loves which she would never have read otherwise. She also said she would recommend my book for them to read (which was very kind). There are a number of sites that offer to promote your books. Some are very effective, having built up mailing lists and being selective about what they promote, but many use twitter to bombard you with promos every two minutes. I’ve also seen a number of indie authors use the same tactic, whether to promote their own work or in promoting the work of others. There may be some mileage in this because why do it otherwise, but to me it just comes across as noise. When somebody recommends a book, I want to believe they have read it and enjoyed it. I buy and read a lot of books yet very few, until recently, have been written by independent authors. I have been happy to take advantage of the many free books on offer – often the first in a series – but rarely move on to buying the next in line. Most of the books I do read are by established authors and like my good blogging friend Jools said in her most recent blog, I am a completer. Once I’ve read a book from an author I like, I want to read everything that they read. This leaves very little time for anyone new to get a look in. Yet at the same time as an indie author I am desperate for people to buy my book and leave a review. A number of people have been kind enough to do this, but there is a long way to go before I could say I was earning enough to live on, and I know that most indie authors are face the same issues. So it is a little hypocritical of me to on the one hand ask people to buy my book yet not do the same for others. I’ve decided that it was time to put something back into the indie author community. I will commit to buying (actually I’ve already started) books by other independent authors, being open-minded about genre or type, initially focussing on those I have discovered through blogging. If I like the book I will post about it on this site under a new series called Recommended Reads. This won’t be a traditional review – if I don’t like a book I’ve bought I won’t say anything (because the fault may well sit with me) – but a series of recommendations of those books I genuinely like. I will also post a review on Amazon and Goodreads. This will help spread provide exposure as well as a genuine sale. Even for those books that weren’t for me there will be a benefit, as they too will get an extra sale, bumping the book up the charts giving much-needed visibility. I’d like to start a supportive community of indie authors, similar to what I’ve seen with the indie musicians. If you are an indie author, or you are a prospective author, or even if you are a friend of an independent author; I would encourage you to do the same me and commit to buying work from lesser known indie authors. Many authors blog, or have Facebook or Twitter accounts. 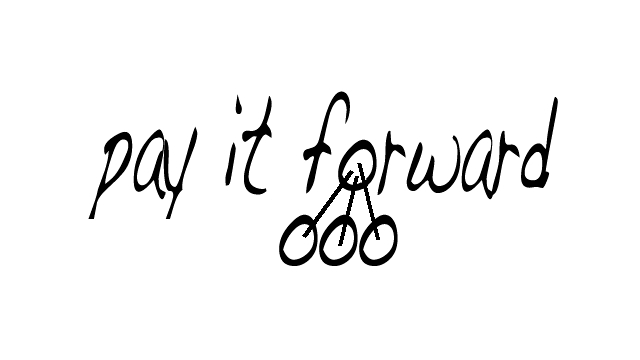 If you like a books you buy, pay it forward and tell people about it. Write an Amazon or Goodreads review. It will take only a few minutes but as you know it would mean a lot to the author concerned. Even a small number of us doing this will make a big difference, but the more that take part, the more we can support our community. If you are interested in getting involved, please feel free to reblog this to help get the momentum going. I’m halfway through my first indie book (which I’m loving) and hope to get post about my first recommended read next week.